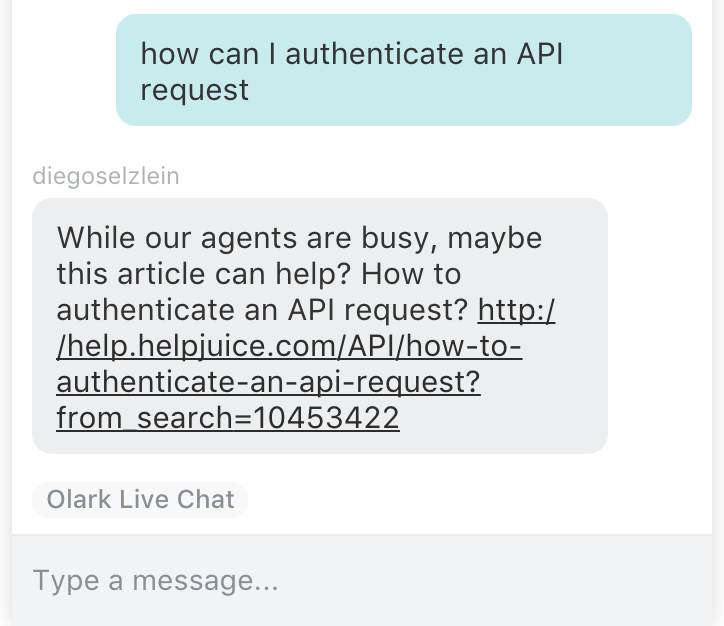 Helpjuice provides an Olark plugin to integrate with your Olark chat! 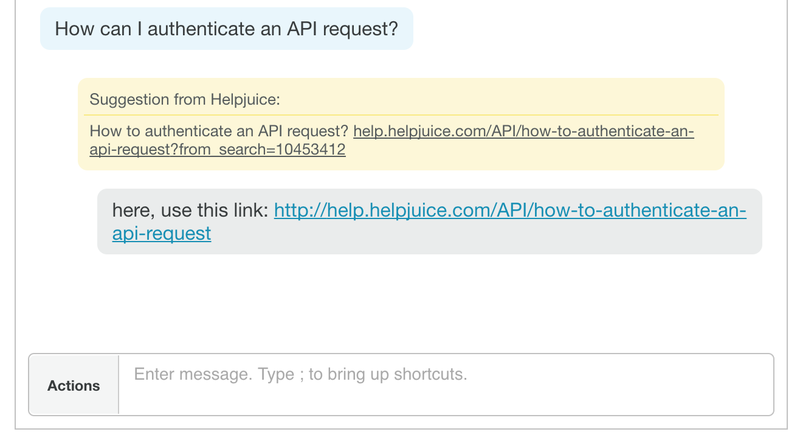 By doing so, Helpjuice will analyze when users start chatting with you and smartly find Knowledge Base articles that match what the user is talking about and suggest them to you so you can use as a response. That's it. Just deploy these changes and Helpjuice will start suggesting articles. The delay can be changed and this feature can be turned off via configuration. Set your knowledge base language for that page, so questions in the right language are retrieved. How many minutes to wait for the operator to answer (after suggesting an article) before suggesting that article to the visitor. Set it to 0 to disable this feature. How to Use Multiple Accounts with the same User?